The latest report from Gallup states that just 1 in 10 UK and EU workers are actively engaged. With UK productivity seeing further falls during 2017, it is no surprise that the UK Government recognises that the country has an employee productivity problem. The UK’s newly announced Industrial Strategy is based on “Five Foundations of Productivity”, one of these Foundations being ‘People’. For Achievers, an organisation that lives and breathes employee engagement and witnesses the business benefits first-hand behind the power of putting employees first, this is welcome news. The importance of employee engagement on key business performance metrics cannot be ignored. Today’s employees are looking for a deeper meaning in their jobs, where they can add value and feel connected to the overall vision and purpose of their company. A company’s culture is becoming more important than ever. In a recent global study, Achievers found that 66% of UK respondents cited a positive corporate culture as important or very important in their decision to stay with their current employer. How has company culture changed and what opportunities lie in front of us? Nowadays, advancements in technology allows everyone to have instant access to information at their fingertips. When job seekers look for employment they take to the Internet to read all of the good, bad and ugly that is available on social media (i.e. Glassdoor, Facebook, etc.). The power has shifted and continues to shift from the employer to the employee. Because of this ongoing shift, now more than ever, employee recognition is no longer a nice-to-have, but a requirement to maximise business performance. At Achievers we believe, and Havard Business Review agrees, that recognition is the number one trigger to impact employee engagement and, in turn, business performance. Simplicity of the recognition scheme is essential to ensure there are no barriers to recognition. Our mantra is, “Everyday, everywhere, everyone.” Make recognition accessible to all, regardless of job role and location. Put the ability for colleagues to recognise each other into the tools your employees are already using – embed recognition into the flow of work. For example, give employees the ability to launch a recognition from Yammer, Salesforce or Sharepoint. Immediate and frequent recognition is crucial to reinforce and drive positive behaviour and change. Annual anything doesn’t work – it doesn’t change behaviour or move the needle. Right now, there is a lot of talk around always-on employee feedback – incidentally, our own Achievers Listen functionality facilitates real-time, personalised feedback and bite-sized actions. Since employee engagement is fluid, taking action on feedback and sending recognition should be an everyday behaviour. Little and often! Frequency of recognition is directly correlated to increased engagement. But don’t worry – this doesn’t mean a massive increase in reward budget. It is the recognition moments that matter; non-monetary recognition is priceless. Some of our programmes see 84+ recognitions per employee, per year! In addition to making recognition easy, the key to driving frequency is a solid ongoing communications plan and the ability to identify opportunities for continued improvement. Achievers doesn’t just toss over the keys; they partner with their customers every step of the way – it is a journey! A successful programme encourages the whole business to embrace and own recognition. We know this begins with leadership support. The executive team has to set the agenda for what is important and recognition is no exception. You cannot delegate culture! Leaders must lead by example. Once leaders are onboard, empower your workforce by putting recognition in the hands of everyone. A manufacturing customer leveraged recognition to help increase safe-day record from 363 days to 595 consecutive days – saving $1.8m in safety costs across a 12-month period. A UK-based online retail business saw a 17-point increase in engagement since rolling out a formal recognition platform and an increase in profit of 43.6%. A large global services company who, in only 7 weeks, achieved a 14-point increase in new hire retention by using recognition to form part of the onboarding process. We are seeing a shift and employees want to take ownership of their own engagement journey. It’s down to us as individuals to be accountable, and what organisations can do is embrace new ways and advanced technology to empower their employees. 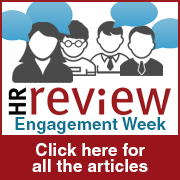 Do you want more insights on employee engagement? Follow our award-winning blog, The Engage Blog. If you are interested in engagement and reward or finding out more about transforming your workforce to be engaged you may be interested in our Employee Engagement and Reward Summit 2018 held in London on the 27th March. Click here for more details. Denise currently holds the role of Senior Director, Achievers EMEA, which sees her leading sales, marketing and services. Denise is passionate about helping our clients build and maintain successful engagement programmes that align with strategic business objectives. Prior to her present position, Denise spent 5 years successfully leading and developing a fantastic team of Customer Success Managers. This gave her the opportunity to partner with many diverse, global organisations who share her belief in the power of a work environment committed to employee recognition and engagement.